This cancer lesson is from a post on my other blog. I feel guilty writing this post because this lesson is the kind where someone else gets the pain, and I get the lesson. Clearly, this isn’t fair — which makes it partly a repeat of Lesson #43 — but it’s different too, because this post is about a friend just reached the stage where it was time to call hospice. This seems very wrong, especially since she was diagnosed after me, and yet, we’ve known for some time it would come to this. Up til now, I’ve managed to not think about it, reasoning (or rationalizing) quite logically that I would deal with it when it comes. Except it’s not me who has to deal with it; it’s her. I can only do and be whatever my friend needs or wants. And sometimes she doesn’t know what that is. After all — as she’s pointed out several times — she’s never done this before either. But I am not my friend, and this has nothing to do with what I want — or even what she really wants, for that matter. That option is no longer on the table. So, I will visit when she is up to it, bring her sundaes and applesauce for as long as she can eat them, make stupid jokes, and sometimes cry. I will try to remember to listen more and talk less, to continue to enjoy the friendship we have shared for more than fifteen years. And I will send this post into cyberspace, asking you — my friends and followers — to spare a moment for a prayer, or a wish, or some positive thoughts that my friend will go out of this life with all the love with which she’s lived it. I will remind myself that it’s not about me. Still, here I am writing this post, making it about me. And in the end, it kind of is — just a little — for I am losing my friend. These tables are from the Ovarian Cancer National Alliance, an organization that raises awareness of the symptoms of ovarian cancer and supports research for a cure. 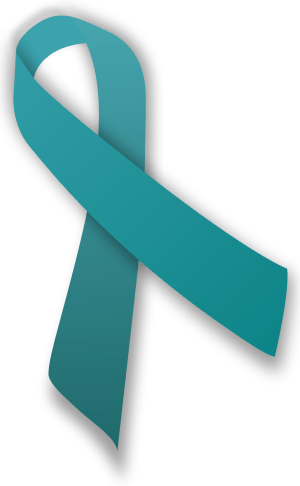 Ovarian cancer is a particularly sneaky disease, rarely diagnosed in its early stages. I hope you will take note of the symptoms.